The Trayvax Element Wallet has been a crowd favorite since I started the EDC Weekly. It has rugged stainless steel frame and is wrapped in oil-tanned leather. You have the choice of raw or black metal and five choices of leather: Mississippi Mud, Stealth Black, Tobacco Brown, Canyon Red, and Burgundy. It holds three to 10 cards and the built-in money clip holds up to five bills. It also has a built-in bottle opener. The KeyBar is the more rugged cousin of the KeySmart. The original is made of two pieces of milled aluminum and can accommodate up to 12 keys. But the KeyBar comes in so, so many other options. The KeyBar website has a Blacked Out Diamond Crosshatch made of Titanium, Red & Blue Frog Acid Aluminum, and totally custom KeyBars for sale. You can also find it in copper, brass and plain titanium. Prices range from $30 to $120. If your dad needs to organize his keys but he’s more into tech than brass or titanium, get him the KeySmart Pro. Not only will it keep his keys from jangling and in order, it will keep him from losing them. KeySmart Pro has a built-in Tile. So if he loses his keys, he can make them ring from his phone. Or if he loses his phone, he can press a button on the keys to find it. It also comes with a bottle opener and a built-in USB rechargeable flashlight. The Fisher Space Pen is a classic EDC writing tool. 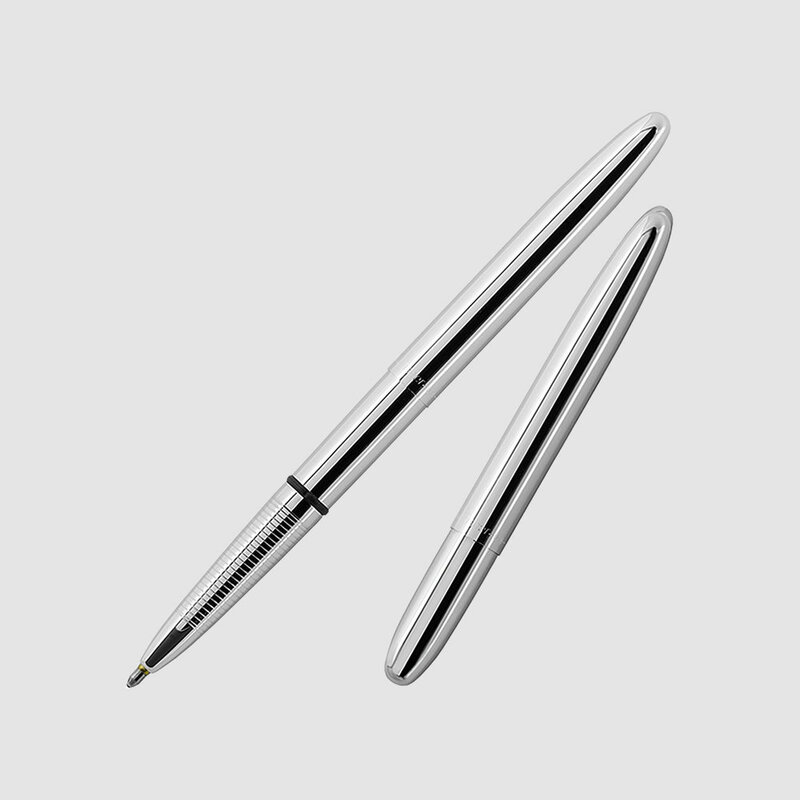 But the Space Pen Bullet is the ultimate daily carry writing utensil, hands down. It’s compact, writes in almost any condition and it looks fantastic. You can also find it in the original chrome finish, matte black, brass and a handful of other colors. You can grab one for pops for just $18. You pops probably likes a quality knife. If you don’t have a fortune to drop on a Chris Reeve Sebenza, opt for something a little more affordable but almost as iconic and reliable, like the Spyderco Tenacious. I would recommend the black blade with the green scales and plain edge, but it comes in an array of color combinations and plain or half serrated edge and range from $45 to about $70. If you’re on a tighter budget but want to gift your dad one of the most classic and adored folding knives around, give him an Opinel No. 8 Carbon Steel Locking Pocket Knife. The hardwood handle and carbon steel blade have the ultimate classic look, and the locking mechanism on this is a rotating collar at the base of the blade. Best of all, it’s just $15. It’ll be a knife he will use for ages and won’t have to worry about beating up. It can handle the abuse, but it’s also cheap and easy to replace. The Leatherman Wave is of the most popular multi-tools on the market, and it’s something that ever dad should have in their repertoire. It packs 17 tools into a compact form factor. It also features a plain edge blade, fully serrated blade, two-sided (wood and metal) file, and saw blade that are all accessible from the outside of the tool. Even if your dad already has a Leatherman Wave, only a lunatic wouldn’t want a backup, just in case. An item from one of my past EDCs that got more attention than anything else was the brass Snake Hook from Snake Bite. It’s a smoothed single piece of brass that won’t catch or ruin your belt loops that patinas beautifully. Plus, it’s only $26. So it’d pair perfectly with something like the KeyBar. Another option for hanging keys on a belt loop is the Quick Release Men’s Keychain Hook from BANG TI. While its name lacks in creativity, the design of the actual hook makes up for it. Made of titanium, the carabiner is design so that when you open it up to take if off a belt loop or backpack strap, the keys will stay locked in the lower part of the hook. It’s really quite clever, and it only costs $25. You’ve probably seen your dad whip out his pocket knife and start prying on an old nail head or trying to use it to turn a screw. If that didn’t make you cringe, it should have. Consider getting him a Boker Plus Access Prying Tool. It’s made out of titanium and has a bottle opener, glass breaker and carabiner so it will fit on his keyring. It looks great and will work for a multitude of common, mundane tasks. Most importantly, it’ll save that precious pocket knife he carries. Another popular pocket tool option is the Griffin Pocket Multi-Tool. The difference is that this one doubles as a key hanger. Attach your keys to one end and hang the other end from your belt loop. It has a built-in bottle opener, 1/4” bit driver and five different hex wrench sizes. It also functions as a pry bar and box opener. I would recommend splurging for the titanium version, though, as it’s ostensibly much more durable. It’s probably been more than a decade since your dad got a new wallet. It’s stuffed will all kinds of receipts and membership cards he doesn’t even remember signing up for. Give him a new wallet for Father’s Day. My choice for a nice, leather wallet that will last and keep him from carrying a wallet that’s the size of a baseball is the 5 Card Leather Wallet. Who doesn’t want a watch that works just as well outdoors as it does with business attire? 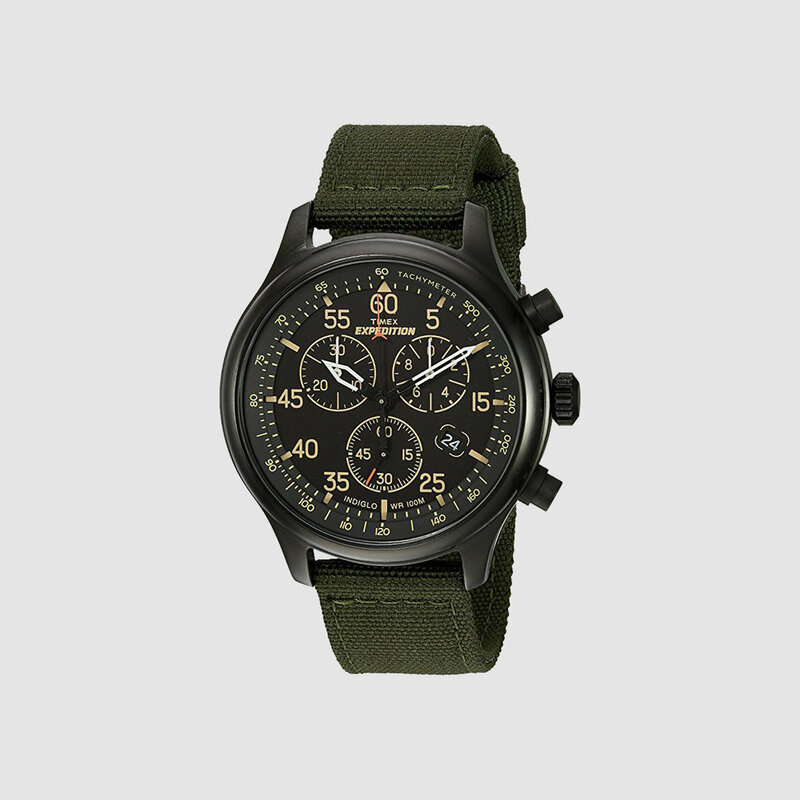 The Timex Expedition Field Chronograph fits the bill and doesn’t break the bank. It’s made of a sturdy brass case, water-resistant up to 100 meters and features an Indigo night light in addition to the standard lume hands. It comes in a a few different configurations, but I just grabbed the black and green for myself since it’s been on sale on Amazon all week. Every phone can now double as a flashlight these days, but having a dedicated flashlight is much more suitable for most jobs. 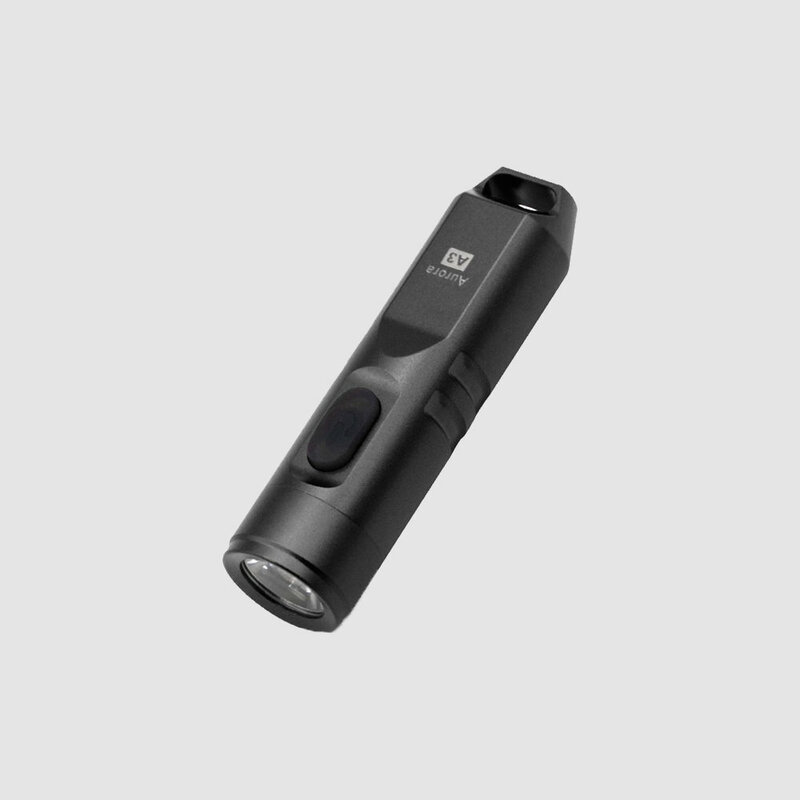 The Streamlight Stylus Pro is one of most commonly daily carried flashlights out there, and rightly so. It’s slim and runs on two AAA batteries, producing 90 lumens with a throw of 58 meters. It’ll also run for 6.5 hours on those AAAs. But if you really want to surprise your old man, splurge for the USB rechargeable version, which will set you back about $38. If you think the Streamlight Stylus Pro is too big for daily carry, dad will love the RovyVon A3. It’s a ridiculous tiny flashlight with unbelievable output. It’s smaller than a tube of chapstick and it blasts a 550 lumen beam. Best of all, it’s USB rechargeable and IPX-65 water-resistant, and it comes with a clip so you can attach it to your hat. This is the whole package … in a very tiny package. At $29.95, it isn’t cheap, but it’s seemingly well worth it.